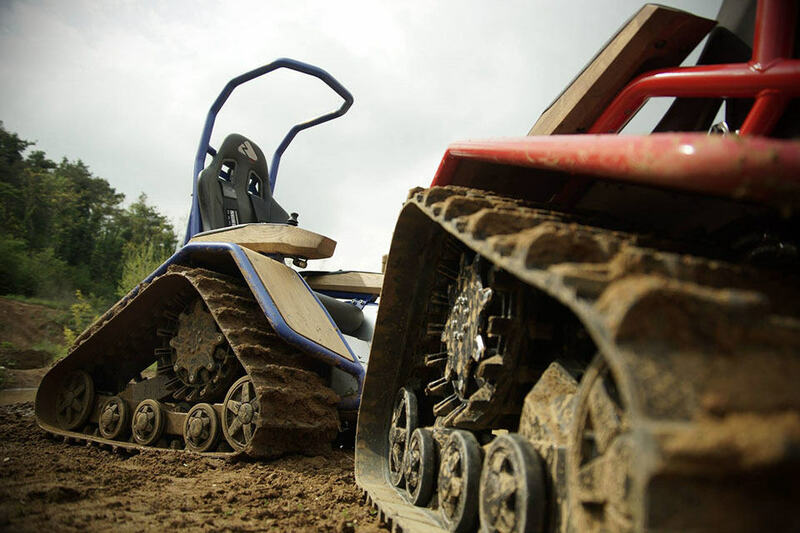 we can’t say if the Der Ziesel Sport Vehicle is specifically designed for disabled people, but it will sure add some off-road excitement for these folks. after all, being wheelchair bound doesn’t mean they have to limit their way of life as far as adrenalin thrill is concerned. in any case, the Der Ziesel is a tracked ATV which i am sure any off-road, thrill-seeking enthusiasts will come to love too. 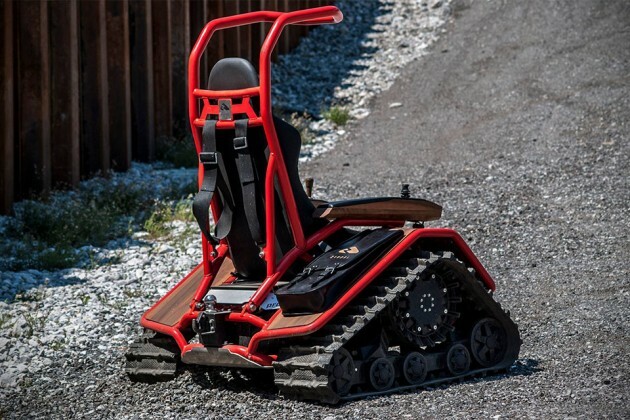 made by Austria-based Mattro Mobility Revolutions, the Der Ziesel Sport Vehicle is available in three power levels and a host of options to suit individual needs and budgets. 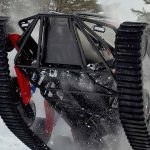 the lineup kicks off with the Ziesel 63 with 6.3 kWh lithium-ion battery and packing a 16 hp peak electric motor, followed by a mid-ranger, known as Ziesel 79, with 7.9 kWh battery and a 18.7 hp motor, and finally, there’s the Ziesel Pro which offers 24 peak horsepower juiced by a 10.8 kWh battery pack. 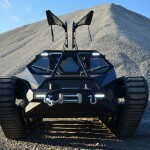 depending on the model, the top speed can be as high as 35 km/h (21.7 mph). the Ziesel puts out over 369 lb-ft (500 Nm) of torque, which together with the all-season wide rubber tracks, enables it to tear across multitude of terrains including snow, sand, stone, mud, grass – you name it. 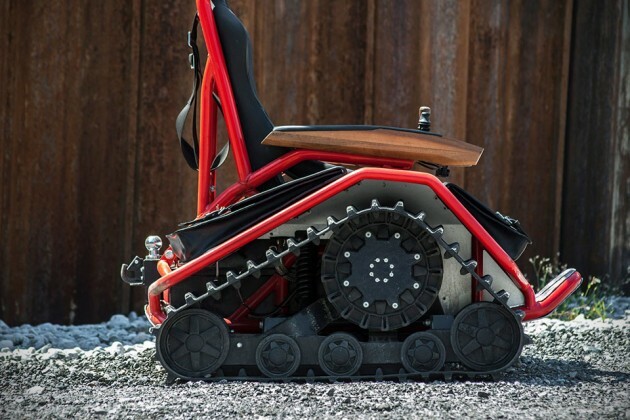 in short, seasons are not going stop this single-seat, tracked monster from doing its thing. 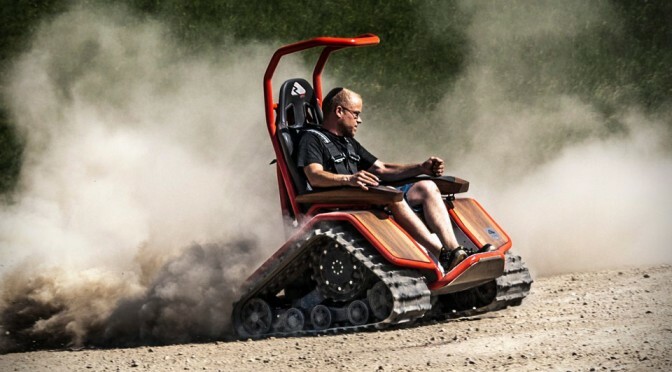 the onboard electric motors drives the two oversized delta tracks, while a joystick provides vehicular control. while this tracked beast may look pretty tall, Mattro said it is actually capable of conquering up to 60 percent gradient in any direction. 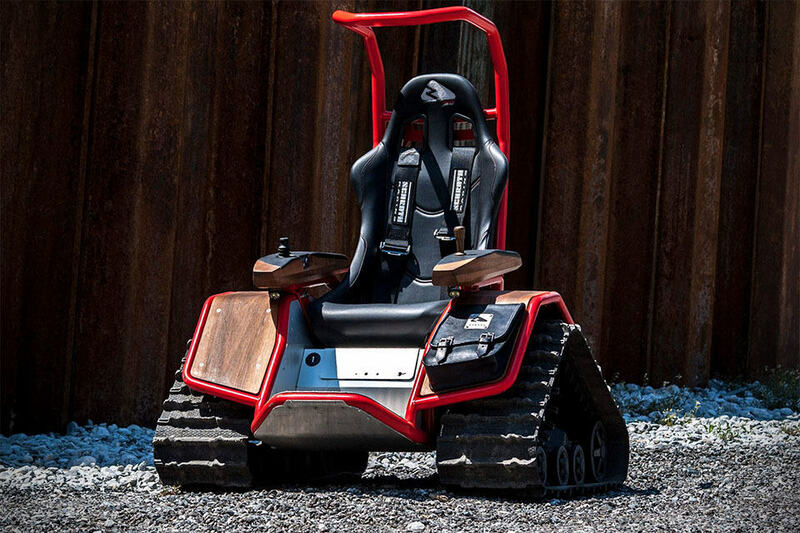 digging further into the design, you will find a double-suspension arm chassis that offers a balanced between comfort and handling and further, it has a tubular steel frame construction with rollover bar, plus a four-point harness and sport bucket seat for added safety. 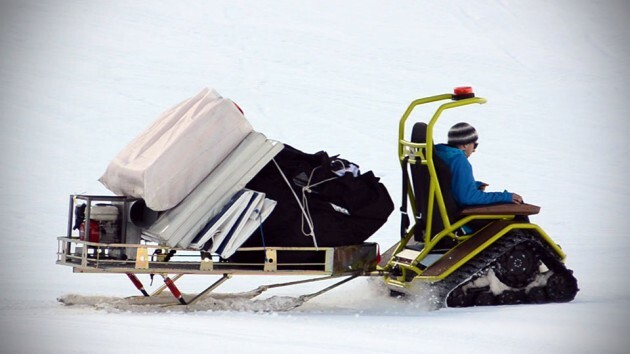 though essentially designed as a barrier-free sport vehicle, with outdoor action in mind, the Ziesel is equally suited as a workhorse by hooking it up with the appropriate trailers for hauling gears across snow covered plains or even collection of harvest. as fun as it sounds, the Ziesel is accompanied by a pretty hefty price tag. 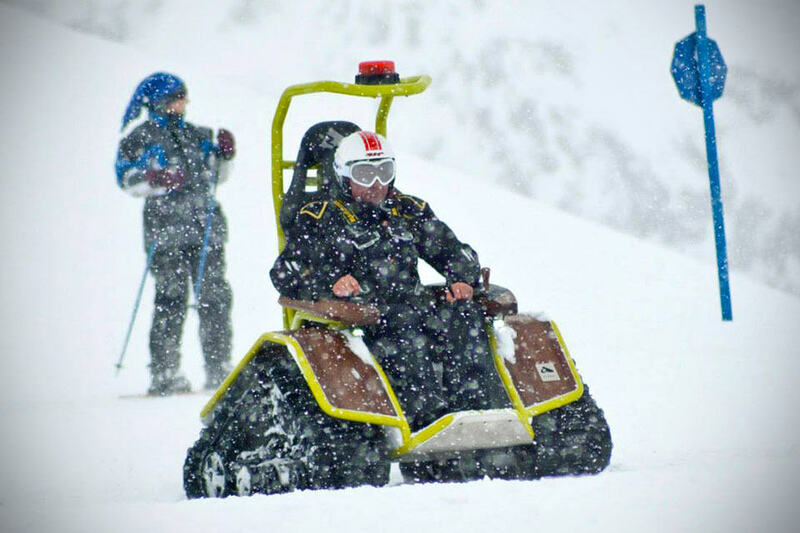 the base Ziesel 63 cost a cool €19,980, the Ziesel 79 starts at €21,710 and the Pro model will run you back at €23,890 and up. based on the current going rate, that’s around US$26,800 and up. price is one hurdle, availability is another as there is no known distributors outside of Europe for now. then again, i am sure with some talks, anyone can make it happen – the question is how much are you willing to drop for one of these. 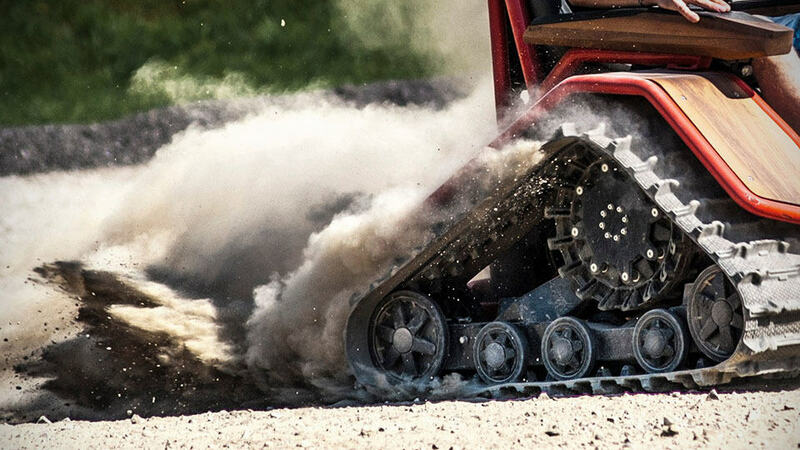 click past the fold for a few more look and a video to see the Ziesel in action.